Paquita Pas de Trois (aka Minkus Pas de trois) by Iana Balova, Stephanie Greenwald and Taras Bilenko, choreography by Marius Petipa, 13.09.2013 2013 Season Opening Gala, Staatsballett Berlin. Iana Balova is soloist with Staatsballett Berlin (Sate Ballet of Berlin). She was born in Russia, graduated from Bashkir State Choreographic Academy Rudolf Nureyev and later Scuola di Ballo-Accademia del Teatro alla Scala. Stephanie Greenwald is soloist with Staatsballett Berlin (Sate Ballet of Berlin). She was born in USA, graduated from School of American Ballet (1987-1996). 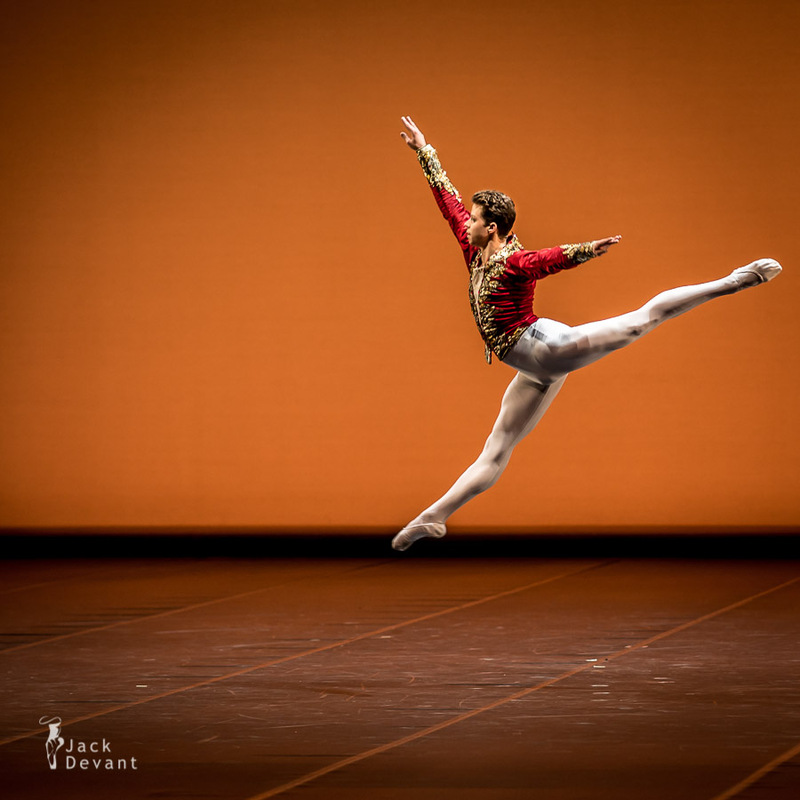 Taras Bilenko is currently demi-soloist with Staatsballett Berlin. In 1847, Paquita was staged for the first time in Russia for the Imperial Ballet of St. Petersburg by Marius Petipa and Pierre-Frédéric Malavergne, being the first work ever staged by Petipa in Russia. In 1881 Petipa produced a revival of the ballet for which he added new pieces specially composed by Ludwig Minkus. This included the Pas de trois (a.k.a. the Minkus Pas de trois or Paquita Pas de trois) for the first act, and the Paquita Grand pas classique and the Mazurka des enfants (Children’s mazurka) for the last act. Petipa’s version of Paquita was retained in the repertory of the Mariinsky Theatre until 1926. Marius Petipa’s 1881 additions for Paquita survived long after the full-length ballet left the stage. In 1896 prima-balerina Mathilde Ksheshinskaya (Princess Romanov) was behind the Grand Pas re-staging, for the occasion of the Centennial celebrations of Catherine the Great death. Today these pieces, particularly the Pas Grand pas classique, are major cornerstones of the traditional classical ballet repertory, and have been staged by ballet companies throughout the world.